All my articles tagged with Consumer, which cover multiple issues related to white goods appliances. Here is an example of an appliance out of guarantee and deemed unrepairable. 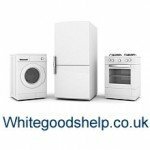 I received a question from someone who had bought a Zanussi fridge freezer 14 months previously. It was now 2 months out of guarantee. It had broken down. The engineer had advised that the fault was due to an internal gas leak. 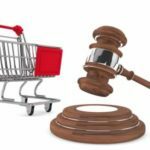 Is the sale of goods act too hard on retailers? Exploding door glass – who’s fault is it?